Hiking Rinjani – Hiking Mt. Rinjani can start from Senaru village, there’s on senaru you can preparing to start the trip to rinjani. After that register yourself to enter the mountain area for safety purpose and to data the mountaineer. Who do trip to the summit because Rinjani is a active volcano mountain every one? Who want to do rinjani trekking should at least hired one porter? Because they know every part of the mountain. Mount Rinjani is very sacred and respected by the people of Bali and Sasak Lombok turned out to have dozens of prohibitions for every person who Hiking Rinjani. Some of the prohibitions for mountaineer was who are on Mount Rinjani is taboo to say dirty words and word that indicate worries or complaints. It is said that when mountaineer complain or express words that indicate concerns then the thing that feared it will immediately become a reality. For example, when it says, “it will rain”, then the rain will start to fall. In addition, a marriage couple are also forbidden to do a sexual activity when there. Mount Rinjani is a holy place for Balinese Hindus because it is considered as a place of the Gods and also a shrine for the Sasak tribe because it is believed to be the place of the guardians and immortal figures of Dewi Anjani. 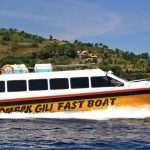 Lombok adventure it’s not just reaching the peak of rinjani, you may find ton of cool place along the tracking. Gunung Rinjani National Park area has many stopover that climbers can explore the uniqueness. For example the three caves around Lake Segara Anak the Gua Susu, Gua Payung, and Gua Manik. The most famous and unique of the three caves is Gua Susu because of the myth that developed among the climbers. It says that the entrance to Gua Susu will expand if a person with good and kind heart enter it and it will make they easier to enter Gua Susu. Or after a long tracking you can rest your leg in aiq kalaq, aiq means water and kalaq means hot in sasak, a hot spring came from inside the rinjani . Aiq kalaq is an effective solution for eliminating weariness due to the challenging Mt.Rinjani tracking route. In addition, high sulfur content can also heal some kind of skin disorders . One of the hot springs is Pengkereman Jambangan. This hot spring pool is believed by many climbers to have a mystical power. 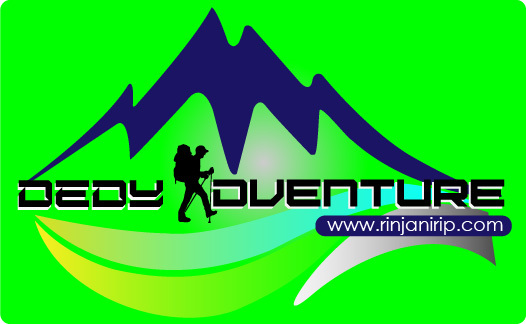 So if you have any interest to Hiking Rinjani or want to explore Lombok Adventure spot. You can contact us Ded’y Adventure, here we provide adventure service as your choice. Spend your time with nature hiking Mt.Rinjani feel the breathtaking view and the wondrous along the way Rinajni tracking route with us.